VenuIQ could be used in the following ways by a hospitality venue. 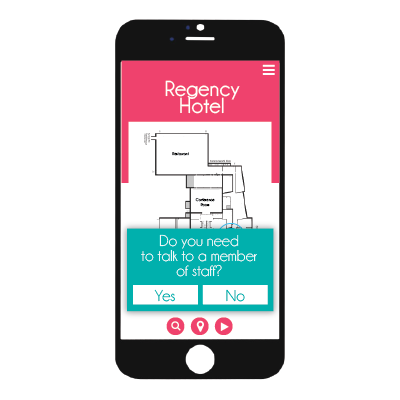 Design your own app using the VenuIQ off-the-shelf system to cater for your guests informational needs during the day or go to town with features in your own bespoke branded app. 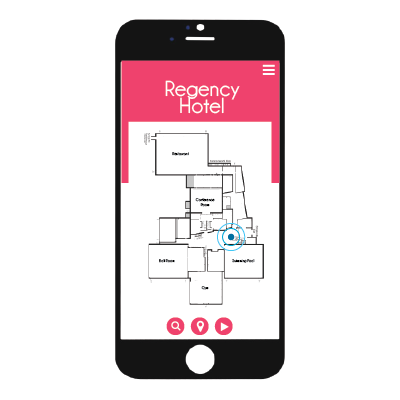 Don’t be limited by our suggestions though, anything you can think of based on location, your internal systems and customer interaction can be built and included into your hospitality app. Plant Beacons around your venue eg. 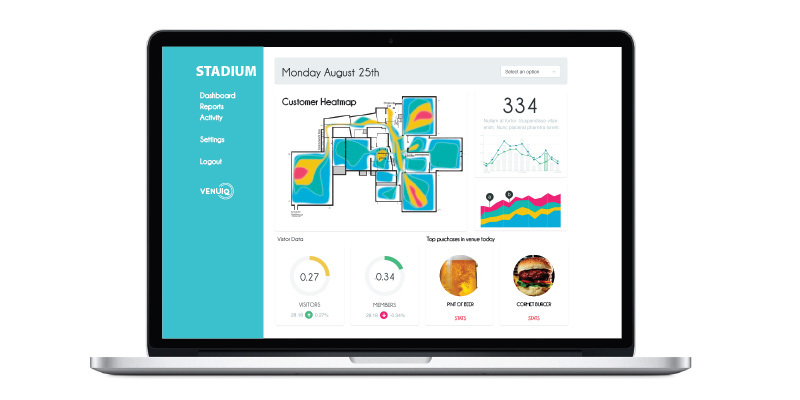 hotel, stadium and guide your visitors to the correct location. It’s an in-app sat-nav but on a micro level. Are they looking for their corporate box? Your app can give them a visual reference and then plot a path on a map right on their phone. 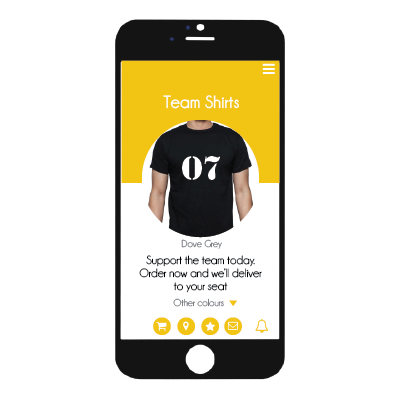 Sell merchandise from within the app and let staff bring them to your guests during the game or concert. Like a music act supporting your favourite band, then the app can easily inform the audience of the latest music offering, or perhaps direct them to sign up for the contact lists to keep in touch with their new found favourite artist. Alert venue staff that you need assistance at your location. Perhaps to bring merchandise to you, or because you have a question. It’s all about making the visitors experience even more engaging. It allows you to ensure customer service is always as proactive as possible. Alert hospitality staff that you’re now at the venue. 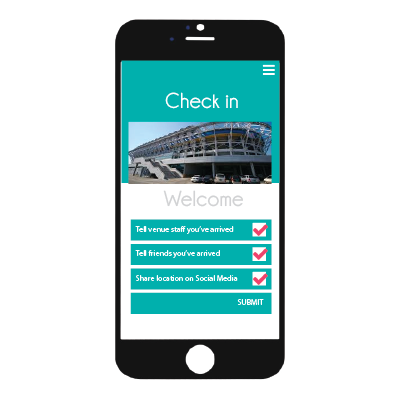 When your traveller arrives at the venue, VenuIQ can automatically check them in. Easily tag VIP’s to your event, and perhaps make it easier to up-sell standard guests where availability allows. Don’t just guess how many people came to your venue, now you’ll know! People trails and heat maps reveal which areas are most visited, what areas are searched for the most and where customers need the most assistance. From this you’ll know where to place your staff, refreshment areas, signage, shops, etc.